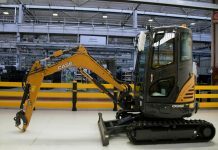 JCB’s recent International Product Launch event certainly underlined the fact that the manufacturer never stands still. 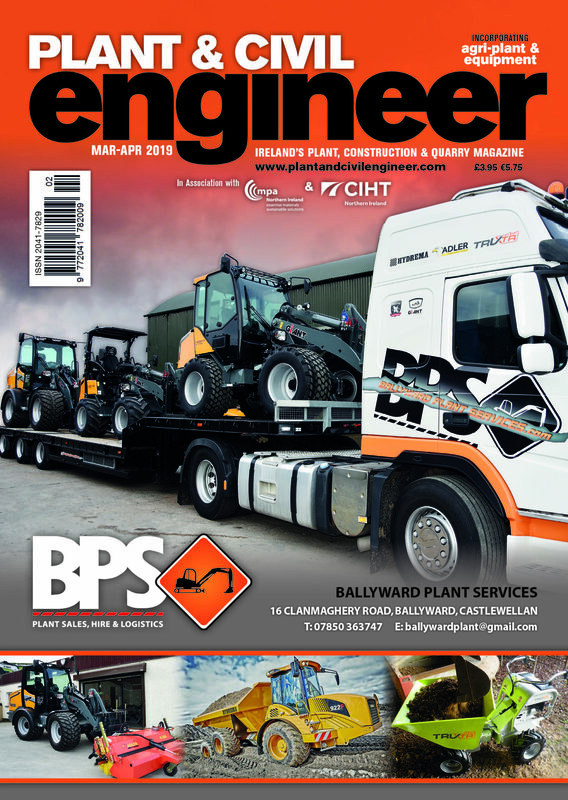 One of the many highlights of the event was news that JCB is launching a brand new safety system for its wheeled loaders which reduces the risk of on-site collisions between man and machine. 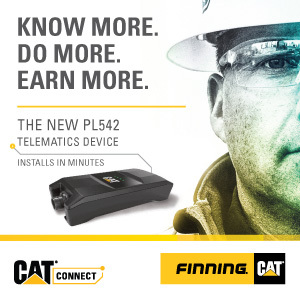 The JCB Proximity Braking System (PBS) – which has been developed in collaboration with FCC Environment (UK) – automatically sounds an alarm in the cab and applies the vehicle’s brakes if a person enters a pre-set exclusion zone around the machine. In addition the system automatically puts the vehicle into neutral and applies the parking brake. Among other new products from JCB is a TM320 telescopic wheeled loader designed specifically for the construction and industrial sectors. The JCB TM320 combines the central driving position and all-round visibility of a wheeled loading shovel with the reach and lift versatility of a telescopic handler – a combination that creates a formidable machine for re-handling and loading operations. The TM320, which sits alongside the existing TM320 Wastemaster, has a maximum 3,200kg lift capacity, which is available to a full lift height of 5.2m as well as from ground level. It delivers a maximum 1,750kg of lift capacity at full forward reach of 2.95m ahead of the front wheels. JCB has also launched a new 18 metre Loadall model, the 540-180 HiViz, expanding what is already the world’s biggest range of telescopic handlers. 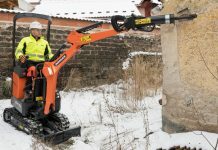 The 540-180 offers greater performance and lifting capability than its 17 metre stablemate the 540-170 – despite being 20% smaller in overall dimensions. Its launch brings to 30 the number of Loadall models in the range. 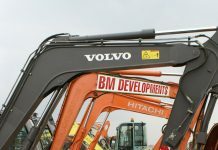 The 540-180 HiViz has been specifically built to meet the needs of rental companies and contractors, offering reduced cost of ownership, faster cycle times and best in class visibility, with improved lift height and increased forward reach. At just 2.35m wide and 6.26m long it is possible to move two machines on a single curtain sided truck or low loader, reducing transport costs. 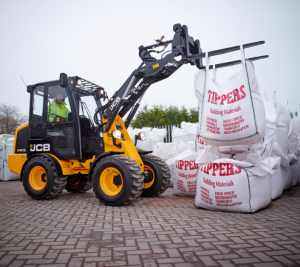 Another new JCB product is a compact wheeled loader that combines outstanding powertrain components with a new cab design, control features and layout. The JCB 403 is a 2.5-tonne articulated chassis wheeled loader, capable of working efficiently in confined locations. With parallel lift, hydraulic attachment pin operation and joystick hydraulics and transmission control all as standard, the new 403 is a very well-equipped compact loader. 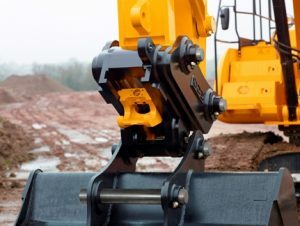 JCB Attachments, meanwhile, is introducing two improved hydraulic hitches for JCB’s mid-weight JS excavators. The hitches, which meet the ISO 13031 standard, have been designed to suit machines in the 13-14 tonne sector and the 20-22 tonne market. 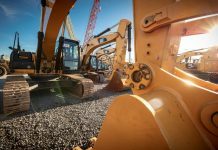 Depending on operation, a hydraulic hitch can save up to 25% of total machine operating time compared to direct mounting or a mechanical hitch. 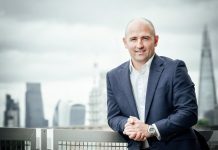 In another new development, we learned that JCB intends to become a major player in the $8 billion powered access market by entering the sector for the first time with the launch of a brand new range. 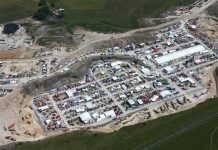 The company has been developing and engineering a line-up of powered access machines in secret for the past two years. Today the wraps come off an initial nine all-new electric scissor models. 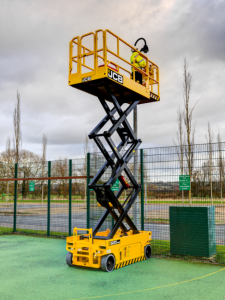 By the end of 2017 the newly-launched JCB Access business will be offering a total of 27 new platforms, including scissors, articulated booms and telescopic boom machines.